BPA Free: BPA is an industrial chemical used to make certain plastics, commonly found in food containers. Although BPA is safe at very low levels, like that which leaks from your food container to the food itself, why risk it? 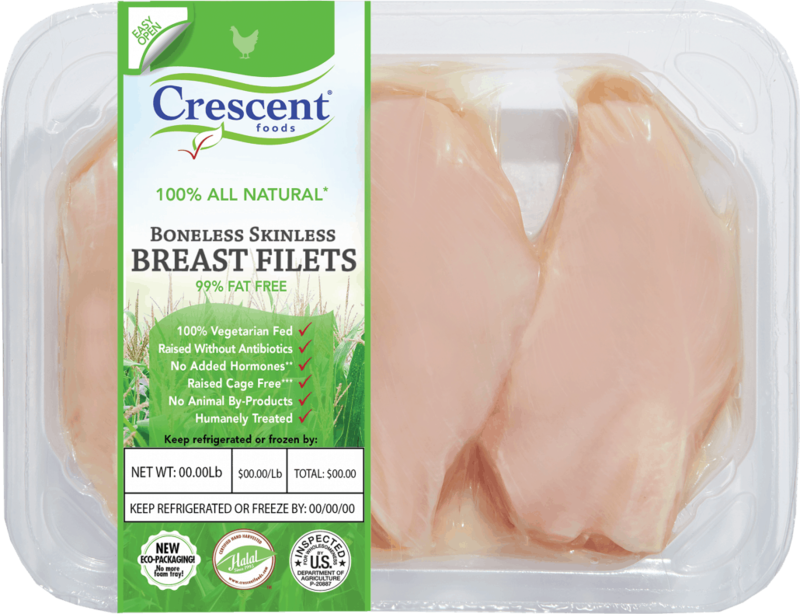 Our Pure & Simple chicken has No Added Antibiotics, No Animal By-Products, and No Added Hormones; you can rest assured that our packaging adheres to the same quality! Eco – Friendly Trays: Our trays are made of recyclable LDPE and PP material, making them safe for you and safe for the planet! Freezer Safe: Vacuum Sealed to lock in freshness and avoid leakage! Vacuum Sealed: Extended shelf life, no leakage, no breakage! You can rest assured that your chicken will stay fresh, longer! Reduced Waste: A “diaper” is common of most chicken packaging to soak up the extra water. With our new skin pack technology, we’ve removed this compartment and ultimately reduced our overall waste output!